We have had to reschedule our forthcoming SocialEyes course for autistic adults in Reading. The course, which was developed by the National Autistic Society, aims to help develop social skills and understanding. The first workshop session will now be held at the New Directions South centre, at 330 Northumberland Avenue, Whitley, on Tuesday, October 30, from 7pm to 9pm. The course will then run every Tuesday evening at the same time until December 4. We apologise for any inconvenience caused by the change of dates. Free places on the course are still available to autistic adults who live in Reading. Click here for more information and to register for this SocialEyes course. 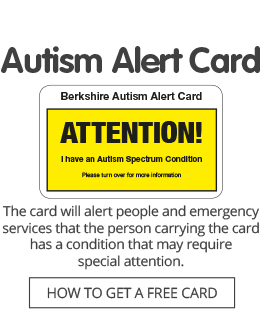 If you have any questions, or have difficulty registering online, please email admin@autismberkshire.org.uk or call 01189 594 594.